Whether it’s your home or you’re in charge of an office, a warehouse, or a sprawling outdoor workspace, well-placed security cameras can ensure employees’ safety while simultaneously cutting down on shoplifting and vandalism. 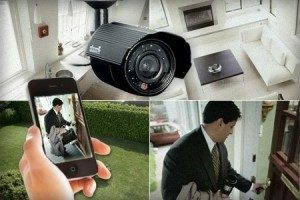 We can install the right security cameras system for your home or business depending on the size of the space you’re monitoring, and always know that your property is safe and you can view from anywhere in the world on your smartphone and other devices. Did you know that your insurance company will lower your rates by about 10% if you have a video security camera system in place? Why? Because without the footage of an incident they may not be your fault your insurance is going to pay and your rates are going to go up. With a video security camera system in place, you can download footage of an accident, theft or any incident and give it to the police or your insurance co to prove you’re not liable.